The Endura T22 has an incredibly small form factor that fits perfectly in your hand. 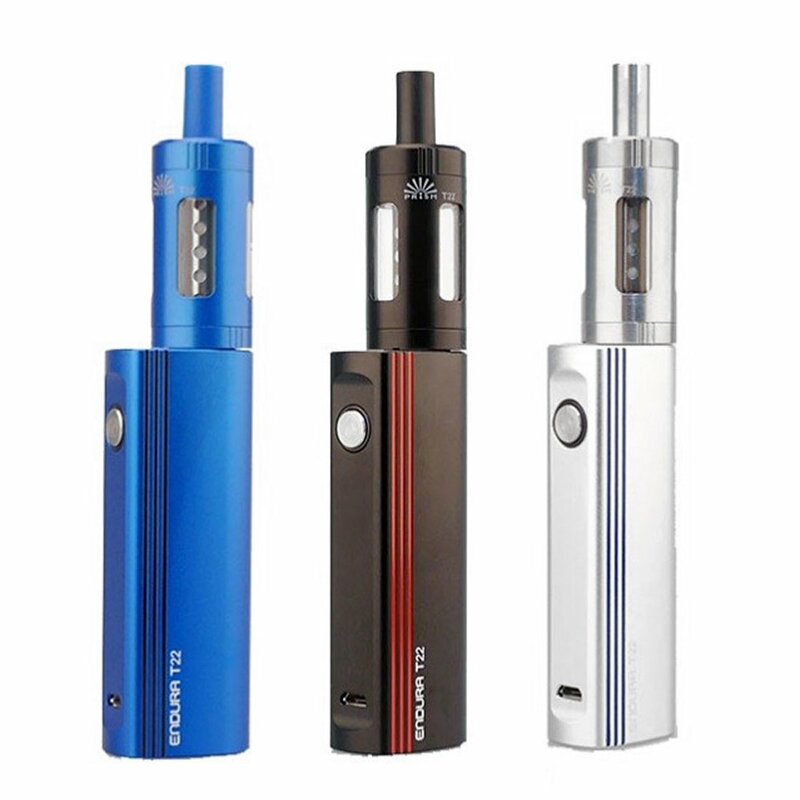 The two major upgrades over the T18 is its improved battery life and larger liquid capacity. The battery has been effectively doubled, giving it a total of 2000mAh! The liquid capacity was also increased, the T22 tank offers a 4.5ml liquid capacity that has a glass and stainless steel construction and as well as a top fill system for quick and easy filling. Crafted with quality materials, the Innokin Endura T22 is an easy to use and affordable vaporizer that delivers a superior experience in an all in one kit!